Kogan Page will be exhibiting at YMS, showcasing a number of influential marketing books. Here, Claire Brooks, the author of Marketing With Strategic Empathy, talks youth engagement strategies. One of the buzzwords du jour is ‘micro-moments’, coined by Google. The consumer journey - which used to be so neatly explained via the purchase funnel - is now punctuated by many, individual ‘micro moments’, when consumers and shoppers turn to their smartphones to learn something, do something or buy something. These micro-moments, Google urges us, are opportunities for consumer and shopper engagement, and brands must identify these key moments to own and win. While people of all ages often behave this way, Gen Z are the first ‘mobile native’ generation, and as a result, they are most likely to turn to their phones first to fend off boredom, which includes engaging with brands. Google, unsurprisingly, focuses on search-driven micro-moments. However, this age group does not just turn to their phone for information. ModelPeople’s recent consumer insights research points to the importance of visual inspiration and emotional impulse to Gen Z and Millennials. In categories where decision-making was believed to be complex, the purchase funnel - far from being linear and considered - is now truncated and impulsive. In a world where more data and information than ever is available, young consumers are increasingly making decisions driven by visual inspiration or emotional impulse at key micro moments (not just mobile but also in-store). Young ‘mobile natives’ have changed forever the way marketers and researchers think about brand communications and decision-making. An ethnographic retail fashion study pointed to the importance of visual inspiration in driving engagement and purchase, both in-store and online. A Millennial study participant admitted to spending 2 hours a day browsing Instagram on mobile (at work), purchasing what inspired her or comparing versions of the latest ‘in’ item. Another participant checked what her favourite fashion blogger was wearing to inspire her own outfit for the day (and often purchased a favourite item). A 17-year-old admitted to having to remove a cosmetics app from her phone because she turned to it every day when feeling bored, and usually ended up buying something! 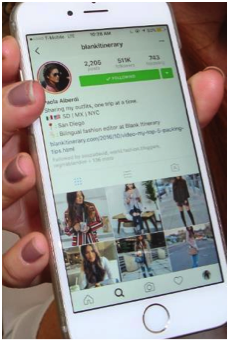 Understanding these micro-moments informs youth fashion retail omnichannel strategies. A qualitative luxury car study revealed that Millennial buyers no longer conduct exhaustive, left-brain research but make an impulsive, emotional purchase commitment - after seeing a car in social media, online, or even on the road. The dealer experience is often a deterrent to purchase rather than the final stage in the traditional purchase funnel, and car companies are increasingly using technology to create visual and experiential ‘micro-moments’ which strengthen purchase commitment pre-dealer, such as mobile scheduling for a valet test-drive. In an ethnographic study of air care products, a Millennial shopper was observed impulse-purchasing scented candles (for the first time) from an end-cap display, to create a mood for a home-cooked meal with a date. Visual (pack graphics, color and design) and emotional (sensory) engagement are key in this category, to cue mood and drive impulse. Perhaps paradoxically, in this new digital data environment, we are seeing a new emphasis on observing consumers and shoppers in real-world category, brand and cultural context, to identify opportunities to make an emotional or visual brand connection. There is growing recognition that data can tell us what but not how or why. Data can map the common journey paths and identify where engagement might be most effective but it cannot help create inspirational messages. Data can identify journey (or product) pain points but it cannot inspire the personal and subjective hunches and intuitions, the metaphors, stories and mental constructs which researchers* have shown are essential to innovation. In today’s data-driven brand marketing organizations, managers and employees must develop real-world understanding of their consumers’ everyday lives, and intuition for how to engage with them. In a gaming study with young males, mobile recording of ‘micro-moments’ in the journey for a new game purchase (surprisingly) confirmed the importance of ‘old-school’:30 TV ads in creating cinematic-style inspiration to play. Online visual style and brand metaphor exercises identified the look-feel of teen/ young women’s ‘ideal fashion store’, and the assortment and merchandising elements required to deliver it. By conducting a semiotic square analysis for two pre-school girl toy franchises, we identified the key emotional and cultural elements to emphasise in competitive brand positioning and franchise line-extension. In a 12 month-longitudinal study, incorporating mobile ethnography and online co-creation activities, an online community of 50 millennial trendsetters, described first-hand the occasions and related branded micro-moments for choosing QSR or Fast-food brands. Understanding the Millennial and Gen Z consumer journey requires both data and a focused approach to developing empathy through qualitative research. About the author: Claire Brooks is President of ModelPeople, a global brand insights & consulting group, which advises brands targeting Millennials and Gen Y. She is also the author of a new book Marketing with Strategic Empathy®: Inspiring Strategy with Deeper Consumer Insight, published by Kogan Page in London and NY. Her book is available on the Kogan Page stand in the exhibition area at YMS.